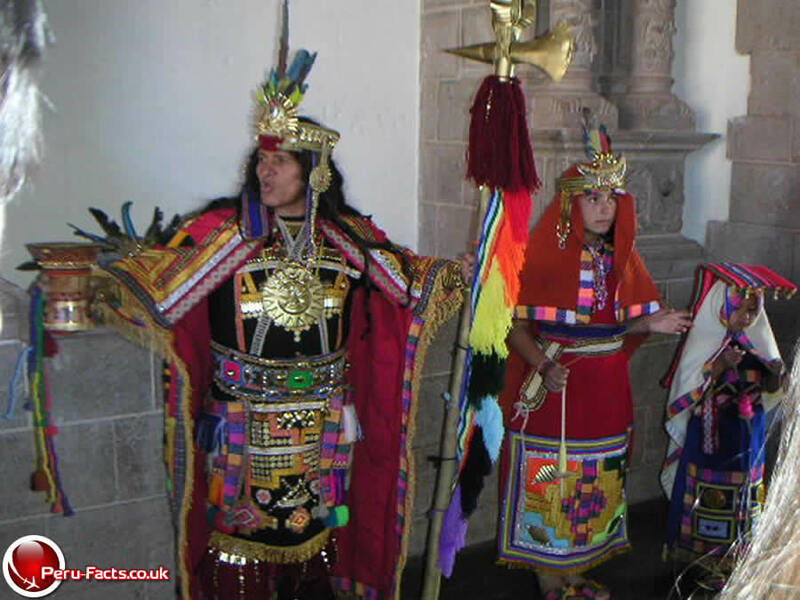 Inca clothing varied between the different classes of Inca society for example the majority of people would have worn a gown like outer garment that covered most of the body but had no sleeves, often with a belt around the waist of the garment in order to keep it in the correct position on the person wearing the garment. The gown style garment was created by using the wool of either a llama or alpaca, this was usually made by the Incas themselves who sheared the animal first then tempered the wool. 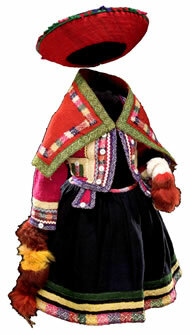 This would then enable the Inca people to wear the wool as a garment and the woven wool was known as a huasca. The upper classes of the Incas still wore a similar style gown however they would wear much softer and refined wool which would have often been dyed in a range of bright colours that would differentiate them from the lower Inca classes. 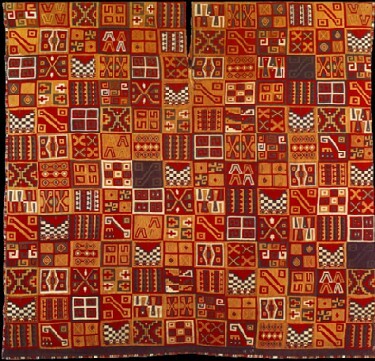 To further add to the style of their clothing the upper classes would often be woven in a selection of patterns and styles known to the Inca people as tocapu, to further add to the look of their clothing. Many of the clothes worn by male Incas often involved wearing the sleeveless garment as stated above however it was also acceptable for men to wear an item of clothing called uncu. This was created in a similar way as the gown as it involved cutting a slit in the centre of a rectangular piece of cloth so that the head could fit through and the sides of the cloth were tied together in order to keep the warmth in the garment. In modern day clothing it is very similar to a poncho. It was also normal for women to wear a similar item of clothing to the uncu that was known as an acsu which was much longer than the male version and was sometimes adorned with a cloak around the woman known as a lliclla. It was also known that the more upper class Incas wore much more elaborate items as their dress in order to display their importance to the people around them. A prime example of this would be the use of sandals by the upper class Inca people. Other ways in which the upper classes used their clothing as a way to publicly display their prestige was by wearing jewellery such as bracelets, earrings, necklaces and medallions that have been awarded to the person. The medallion was a way for the Incas to reward people for bravery and courage on the battlefield which was a high honour for anyone to receive. Other forms of clothing involved brightly coloured bags and feathered headdresses. The headdress was worn by many Incas however the royals would have two feathers of a rare and curious bird placed on the headdress to further distinguish them from the Inca people.